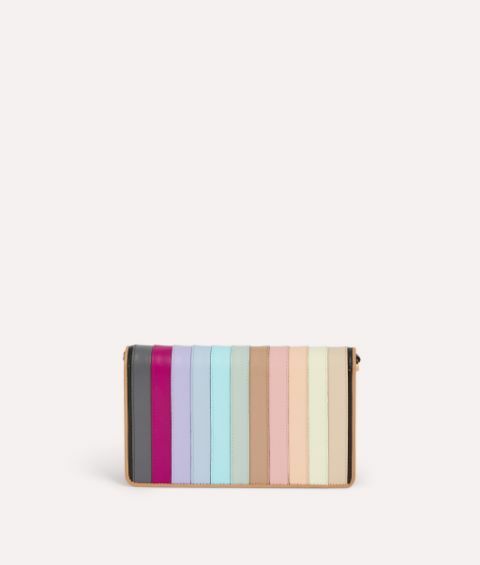 Elegant Lou Lou returns for SS19 in an array of confectionary colours with this Rainbow version. 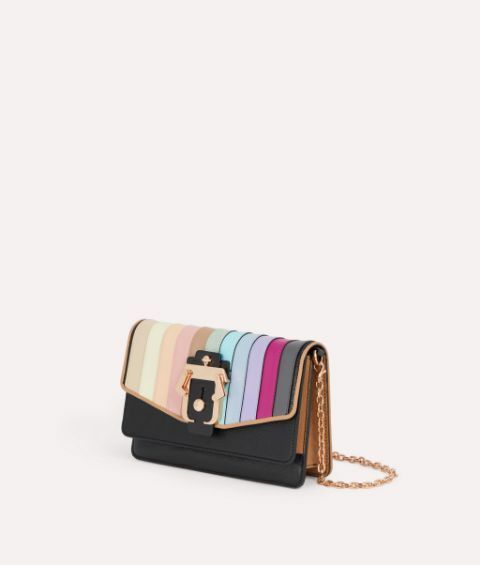 This compact day-to-night piece is grounded in a timeless backdrop of smooth black leather with a sleek gold-tone chain which can be detached to take it from clutch to crossbody. 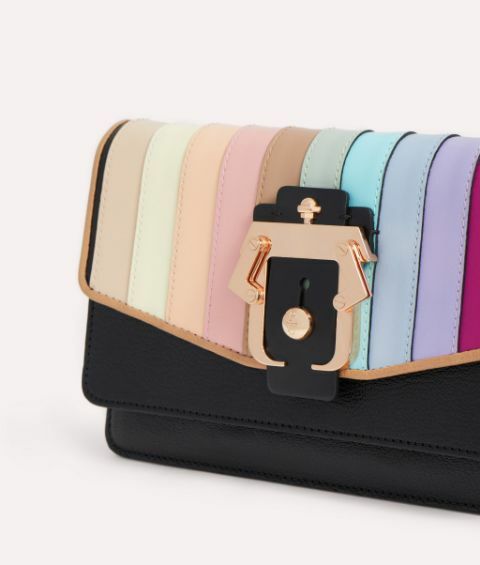 A signature Paula Cademartori buckle adds contemporary finesse to this eye-catching number.